Xin Nan, Bei Sen, Dong Sha, Xi Zhao, and Kun Zhong are the descendents of the fire village, the water village, the wood village, the metal village, and the earth village, respectively. Their bodies contain a mysterious gene. 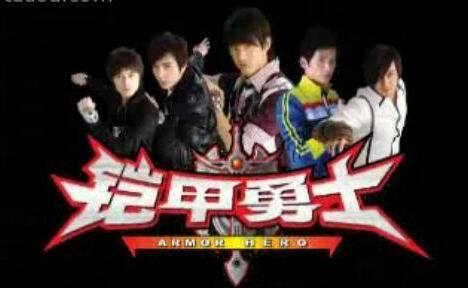 Under the use of the Guang Ying Shi (光影石), they will receive magical combat armors that have been passed down since the ancient times. With these armors, they will become the embodiment of righteousness - Yan Long Xia (炎龙侠), the Fire Dragon Hero, Hei Xi Xia (黑犀侠), the Black Rhinoceros Hero, Tian Ying Xia (天鹰侠), the Sky Eagle Hero, Xue Ao Xia (雪獒侠), the Snow Mastiff Hero, and Di Hu Xia (地虎侠), the Lizard Hero. As these heroes, they will fight against the emperor of the darkness and his minions. To disrupt the happiness of the community, the evil ones used pollutants to create a pollution monster (污染兽) that destroys the environment and the peace of the community. Through their hard work, the armor heroes finally achieve victory by sealing 52 magical stones and five large magical charms.